The mission of the Jefferson Health Foundation - New Jersey is to transform the health care experience through a culture of caring, quality and innovation. We could never accomplish this without the compassion and commitment of a very special team of individuals who work tirelessly to make a positive impact on our Foundation, our communities and the lives of the people we serve. Meet the Jefferson Health Foundation - New Jersey Team. Jennifer Baiada, special events coordinator, joined the Office of Institutional Advancement in 2018. Prior to joining Jefferson, she worked as an events associate at LEGACY Consulting, PR, & Events in Nashville. She earned a Master of Business Administration and a Bachelor of Business Administration in entrepreneurship at Belmont University. Kelly Hageman joined Jefferson Health in 1996 as office manager of the Diabetes Education Program. In 1999, her role expanded to corporate manager of special events within the Jefferson Health Foundation - New Jersey. She co-chaired National Philanthropy Day for AFP Southern New Jersey Chapter in 2018. Rachel M. Lippoff, director of development for Jefferson Health New Jersey and the Jefferson Health Foundation - New Jersey, joined the Office of Institutional Advancement in 2018. Previously, she served in advancement positions at Temple University and various community-based organizations. Rachel earned a Master of Liberal Arts from Temple University, with a focus on women and philanthropy, and has a Bachelor of Arts from Emory University. 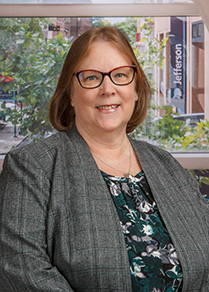 Patricia McGowan, development associate for Jefferson Health Foundation – New Jersey, joined the Office of Institutional Advancement in 2018. Prior to joining the staff, she held development positions at several non-profit organizations. She earned a Bachelor of Arts from Montclair State University. 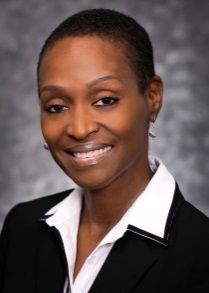 Phyllis A. O’Neal, assistant to the vice president of development, joined the Jefferson Health Foundation - New Jersey in 2015. Prior to the Foundation, she worked at Bancroft as a Development Associate. She earned her Bachelor of Arts in MIS from Eastern University. 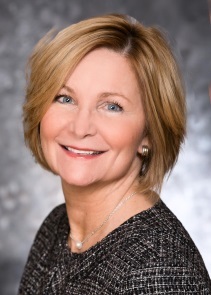 Joanne Sabatini, assistant director of donor relations, joined the Jefferson Health Foundation - New Jersey in 2013. Previously, she served as an events manager at Tech Impact. Joanne has earned her Bachelor of Science in accountancy at Villanova University.